Whether it’s a new build or an older property, inside or outside, we will guide you through all the practical and legislative considerations for your lighting installations. Firstly, if your home pre-dates the 1960’s, your lighting installations are likely out of date and not fit for purpose. Domestic lighting circuits did not have Earthing until 1967. Earthing is necessary to prevent shocks and fire hazards, providing a path to automatically disconnect dangerous currents. Since 2005, all domestic electrical work must comply with part ‘P’ of Building Regulations. In order to comply, all electrical work, including hard-wired lighting, must be carried out or tested by registered professionals. Lighting circuits in modern properties are required for each floor and are separate from the main circuit. Consequently, if this is not the case in your home, you may need to consider re-wiring. It is useful to talk to a qualified electrician before you begin upgrading your lighting. A professional can talk you through the placement of your fixtures and fittings, how many switches and what design options are available. In addition, we will advise on how you can keep your installation and maintenance costs to a minimum. Perhaps you want discreet undercabinet lighting, mood lighting, wall lights or a mixture of different installations throughout your home. Paul Hunt will ensure that your lighting is functional, safe and aesthetically pleasing. With a range of designs and features, you can choose the right lighting to suit your needs. Whether you are looking to add a focal point to your garden or increase the security around your property. With our team of highly experienced and qualified electricians, we deliver your visions of the perfect outside living. We work with you to ensure we understand your project, offering advice on the latest developments in landscape lighting. 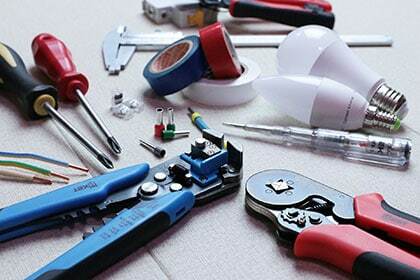 Our electricians support you from design to installation, maintenance and repairs. We complete projects in a timely manner, allowing you to enjoy your garden as soon as possible. You can utilise Light Emitting Diodes (LED) lighting anywhere in the home and they come in various designs. Whether it’s inside or outside the home, spotlights in the kitchen or down lighting in the bathroom, LEDs may be the best solution. Unlike traditional light bulbs, LEDs are a solid light source. Traditional Light bulbs expel heat energy as well as light energy, which is wasting energgy, and money. You can save up to 90% on your lighting costs.